Phasy/flangy tones when playing direct using a cab sim IR. A bunch of impulse responses from Eventide machines available as donationware there. What would be the proper way to IR my Line6s before moving to 9? I'm still loving the Rosen impulses for guitar (especially the AC30 for clean and Marshall 1960 for crunch) but wonder why the impulses show up so small in the RV7000 MKII? Just about every guitar cab impulse i load shows up like that. They seem to sound fine with tweaking but was just wondering if this was "normal"? I'm curious whether this has something to do with the Own Hammer impulses (which i love using in Reaper) not sounding as good in Reason? Anybody else get the barely there waveform for cab impulses in the RV7000? 1. I understand that sine wave sweeps need to be deconvolved and white noise (balloon, claps) do not (although their initial attack must be trimmed). What is the quality difference between these two techniques? Will I get a significantly limited frequency range by using white noise technique? I ask because it would be much easier for me to conduct my recordings with white noise than with the sweep, but if it doesn't sound nearly as good I may want to reconsider. 2. What are some guidelines for mic distance from the impulse source? Is it similar to normal room miking technique, where if I want the most amount of room tone (reverb) I want to mic as far away as possible, maybe even with the source in the null part of the mic pattern? Just wondering if there are some special rules when it comes to IR. 3. RV7000mkII doesn't deconvolve for you, does it? bmarsh wrote: I'm still loving the Rosen impulses for guitar (especially the AC30 for clean and Marshall 1960 for crunch) but wonder why the impulses show up so small in the RV7000 MKII? Just about every guitar cab impulse i load shows up like that. They seem to sound fine with tweaking but was just wondering if this was "normal"? I'm curious whether this has something to do with the Own Hammer impulses (which i love using in Reaper) not sounding as good in Reason? Anybody else get the barely there waveform for cab impulses in the RV7000? Yes, but if you listen to each wav file, it's just a small 'pop' sent through the speaker. I've been working with a few cabinet IRs since yesterday and they're all short and sharp waveforms. I guess the quick duration is dependent on the mic position. Looking through Red Wire's range, the close mics (0 to 6 inches) are all tiny waveforms, whereas the offset and room mics (up to 4 feet away) have a bit more initial volume and a slightly longer decay. gak wrote: Phasy/flangy tones when playing direct using a cab sim IR. What is causing it you think? Latency in RV7000? Rosen and the 3 Sigma IR amp caps are currently the best around. Not being able to use them in Reason is kinda %^$#! I couldn't reproduce these artefacts. Don't own the Rosen files though. works nicely using the Crunch of Softube Amp and disabling the Cab and use the IR 100% wet in RV7000mkII. LSS, I've now got one of dem dar fancy expensive modeler boxes and the Rosen ones are still phasy, almost like latency. I'm going to try redownloading and such. I doubt it will help, but worth a shot. However, the other IR's are NOT having that problem. So, my thought is I'm hyper sensitive to the latency. I have seen many IRs with latency which was caused by silence at the beginning of the file. You can correct it by using negative delay in RV7000 but it's not very precize. This should be a sticky! Thanks for putting this together! Alex1991 wrote: This should be a sticky! 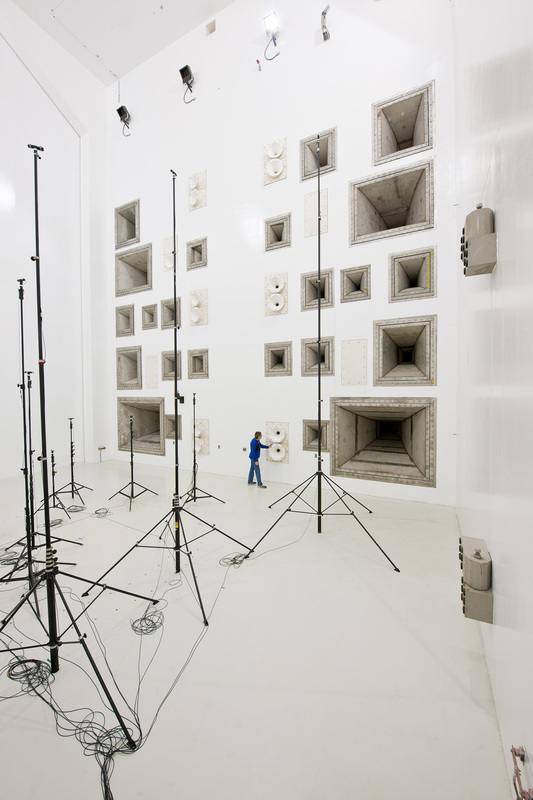 I emailed NASA regarding impulse responses for this space in their Reverberant Acoustic Test Facility at NASA Glenn Research Center’s Plum Brook Station in Sandusky, Ohio. I'll keep you posted on their (impulse) response. Anyone know how to get the above impulses to work in Reason? The Sony DSP responses for the Liquidsonic Reverberate VST is a binary format. You have to find a way of extracting the sound file. I guess, that is what you want to know. # Drag Sample to the Display in the reverb or click the browse button and select it. (Btw. on Mac you have a lot more options to use different sound file formats). In general it has to be a support sound file for the specific plattform. Doesn't make sense to use the True Stereo Wav files, as they come with 2 seperate channels for left and right. Or the Avid Space ones ... they have 4 seperate channel files. I don't think that this is supported in the RV7000II. Here is something that might interest you, new "3 Reverb Tricks" tutorial video for Reason using our impulse responses. Still HATE the Rosen IR's. There is another one of those companies, sigma 3 or something like that, not sure if they are better. bxbrkrz wrote: What would be the proper way to IR my Line6s before moving to 9? sorry for my late reply. I was just scrolling through this page. you can make an IR by using a pure tone and send it trough the Line 6 devices. I have Reason 6.5 and Reason 8 still installed in my system so I can still access all these sounds. I made those IRs myself just to have those Cab models. gak wrote: Still HATE the Rosen IR's. the RV7000 mkII should not phase. I am working on my own IR files for cabinets. I am really getting into it and it is so great because you can really "photoshop" the best sound cabinet ever.